There are innumerable meanings of projects in various sections. When the word ‘project’ comes into debate in the educational section, then undoubtedly, it means none other than thesis. It includes analyzing the real market, displaying the market trends in paper and various associated study of the economy. This is a challenging task given to students in educational division and is exceedingly important to the B-School students as they are handed over with the diploma only after submitting their granted thesis. Mostly the B-school students who pursue higher secondary education work accordingly to meet their monetary needs. These people acquire education either part or full timely basis. Such people find it the most difficult to complete their thesis and submit at the predetermined date to their assigned superior. However, the thesis has to be delivered at the right time to the concerned seniors with appropriate analysis and correct evidences related to it. People need help to complete the most difficult task assigned to them and the students too need help to finish off their thesis work. Anoop Consultancy offers such unique services to the students. We help the students in completing their thesis work by guiding them the best way until the end of the assignment. Anoop Consultancy knows the exact terms and conditions of leading business universities and colleges in India that provide genuine business educations to the students. We have a skilled team of project consultants at our backyard who can proficiently offer you with best guidance and tips for finishing off your job. Anoop Consultancy consults Management as well as PhD education pursuing students with professional touch. We provide guidance to a wide range of leading B-schools and colleges across India. Our wide range of Client portfolio includes the IIPM (Mumbai, Hyderabad, Bangalore, and Pune), Welingkar Institute of Management studies, IBS College Mumbai, MCC College Mumbai, and others. Apart from these Indian educational institutions, we offer excellence services to the clients across the globe. Anoop Consultancy has a long-term practice in the projects consultancy services for the professional students across the globe. 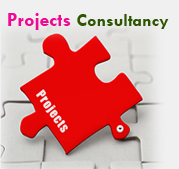 We have also worked for many international clients by supporting them in completing their projects proficiently. There are both national and international clients at our company portfolio. Our consultants are talented enough to understand your problems effectively and guide you consequently to finish one of the toughest parts of your post-graduation.